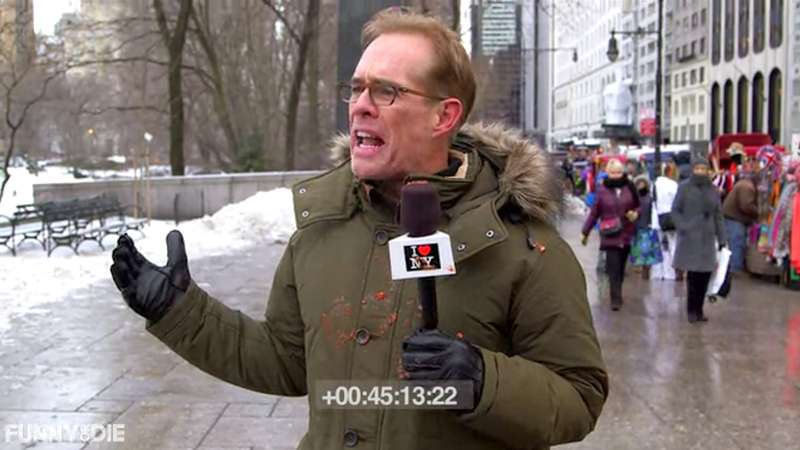 Our own Joe Buck has been in New York City this week preparing for Super Bowl XLVIII, which you can watch on FOX, of course. He took some time out of his schedule to hit the streets of NYC with a video crew from Funny or Die to get a little taste of New York. Were fans happy to see him? No, no they weren’t. One guy even threw a pizza at him.